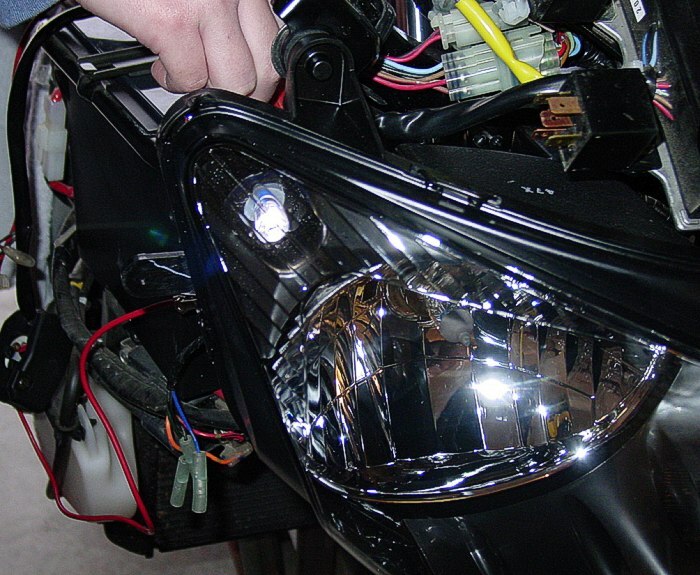 The North American-spec FJR1300 does not come wired for the cool little Running Lights that Euro-spec and other countries get on the upper, outer portion of their FJR's headlamp assembly. Here in North America, if you want them, you must install them yourself. They don't really add to putting light on the roadway, but they are cool and when wired correctly, can also act as turn signal indicators. Use care what lamp color you choose if you decide to go this route. For most jurisdictions, white or amber are about your only legal options. 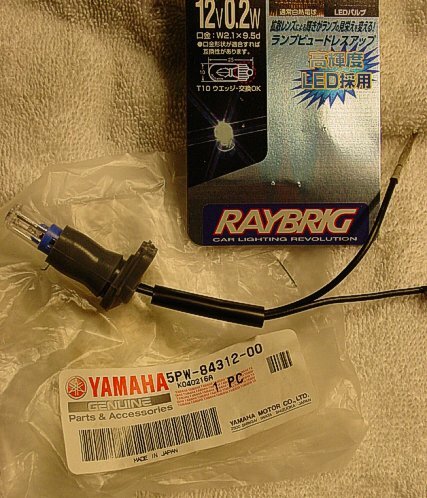 While I am sure the correct (OEM-spec) Yamaha FJR1300 light assembly part number can be researched/obtained, I simply ordered two of the ones commonly used on other Yamaha platforms (R6's and R1's, primarily): Part Number 5PW-84312-00. 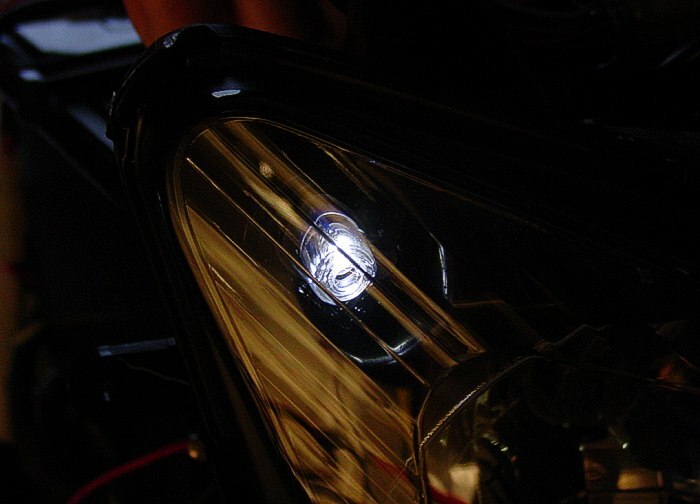 I also obtained two very cool Raybrig 0.2w White LED 194 "Wedge" bulbs to light things up! Raybrig is a well-known Japanese player in the 12v lighting game. 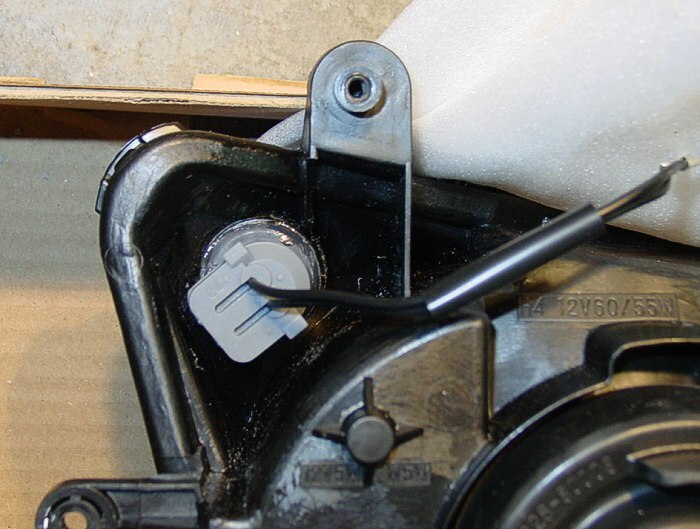 In order to drill a perfect circle for this light assembly to reside upon, there is only one reasonable option: you need to remove almost all the front plastic to gain proper access. 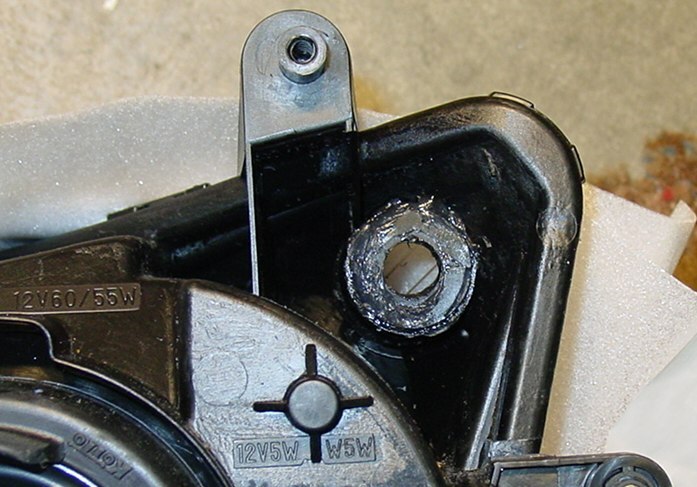 While you could drill the plastic with the headlamp assembly in place, you've gone this far, so you might as well go ahead and remove the entire headlight assembly. Now you can turn it upside down to do things like, uh, shake out plastic drill shavings! 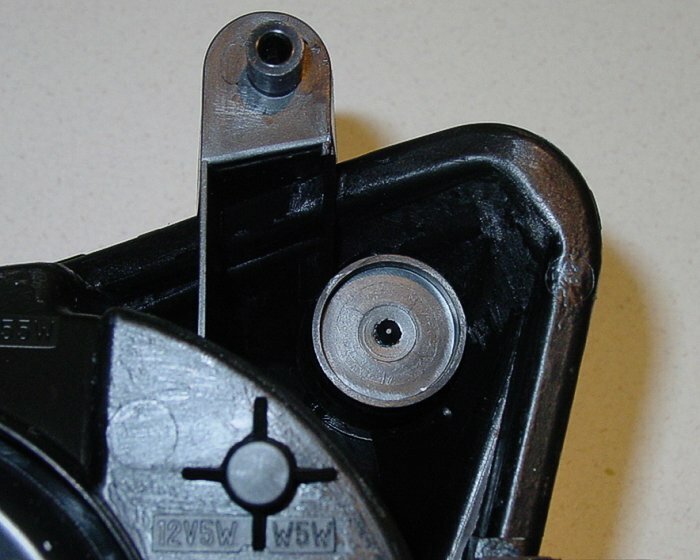 Ideally, you want to use a Uni-Bit to cut a perfect 9/16" hole needed to fit the grommet portion of the LED Lamp Assembly. Sadly enough, only then was I able to discern that the Lamp Assembly itself is physically too long, resulting in the LED bulb striking the inner headlamp lens well before you can seat the grommet!